The 2018 NRA Annual Meeting and Exhibits highlighted 15 acres of outdoor products, tons of celebrity appearances, and the chance to win a bunch of cool prizes. NRA shows always provide days of fun for the whole family! As I travel home, I just can’t stop thinking about some of the awesome things I saw at the 2018 NRA Annual Meetings. Burris Optics has long been known as one of the industry’s best and most innovative optics manufacturers. The Burris Optics Oracle is the most beautiful piece of hunting technology I have seen this year. 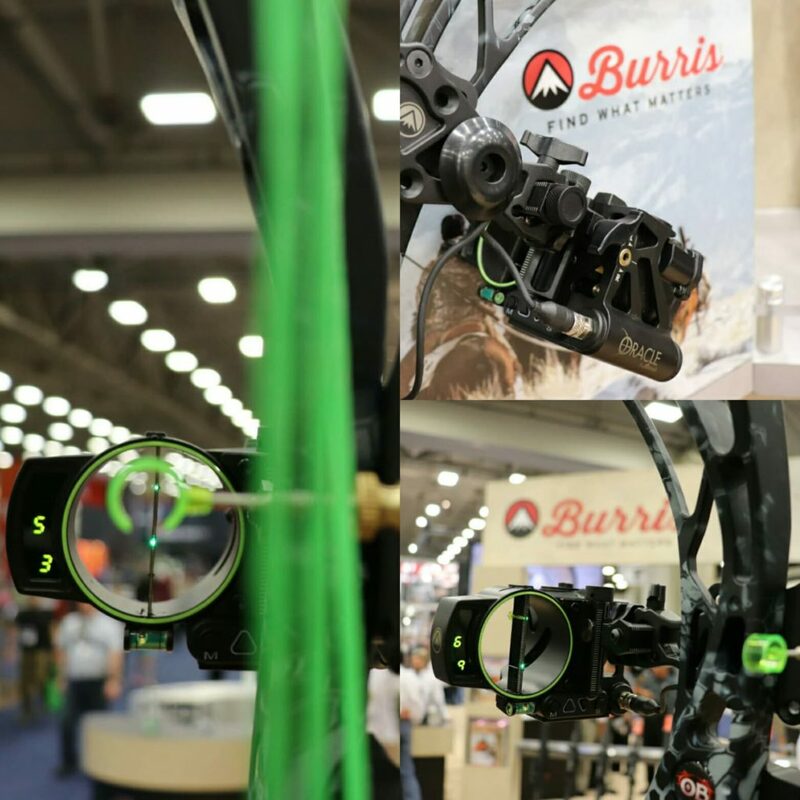 Offering everything a bow hunter could want in a sight, the Burris Oracle features a fail proof design with a fiber optic 20 yard pin, hunters use that pin to range distances out to 200 yards. Once a distance is ranged the sight provides a lighted pin for that range. The Burris Optics Oracle also accounts for angle when calculating the distance, plus hunters can store 2 arrow profiles in the sight, ensuring a perfect shot every time. Weighing in at only 17 oz., it won’t add much more weight than any other sight. This sight has and MSRP of $799.99. For more info check out www.burrisoptics.com. Thompson Center has always been known for excellent performance straight out-of-the-box. At the NRA Annual Meetings TC released the T/CR22, a one-of-a-kind .22LR rifle with last shot bolt hold open and an 10-round, flush mount rotary magazine, plus the R22 even sports a threaded barrel. Thompson Center also added a Magpul stock, making this gun very comfortable. Leave it to Thompson Center to make one of the coolest 22’s of all time. 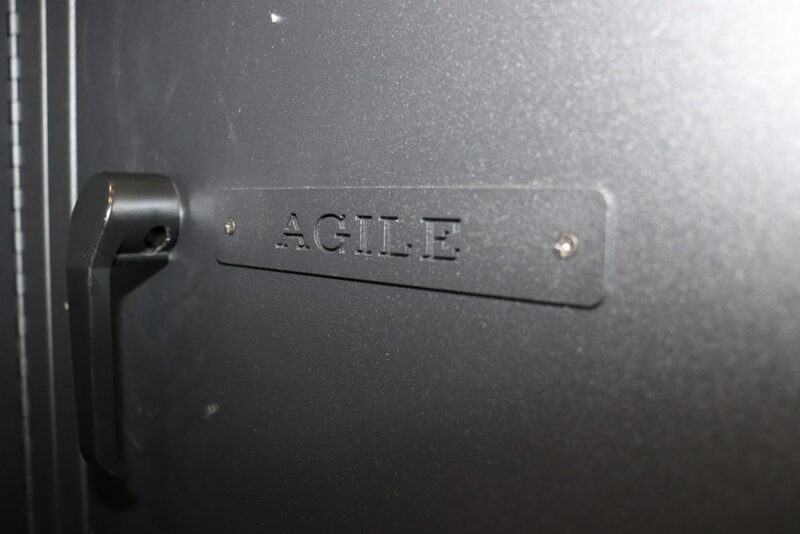 With an MSRP of $399.00, this gun fits right into the market. To learn more about this fun pinker, go to www.tcarms.com. 5) All the Great People! Perhaps one of my favorite parts of any NRA show is getting to meet all the awesome NRA members, celebrities, and product manufacturers. The NRA is full of the best constitution loving citizens America has to offer, and if meeting these wonderful people isn’t enough, the NRA always has some of the coolest celebrities at their shows. 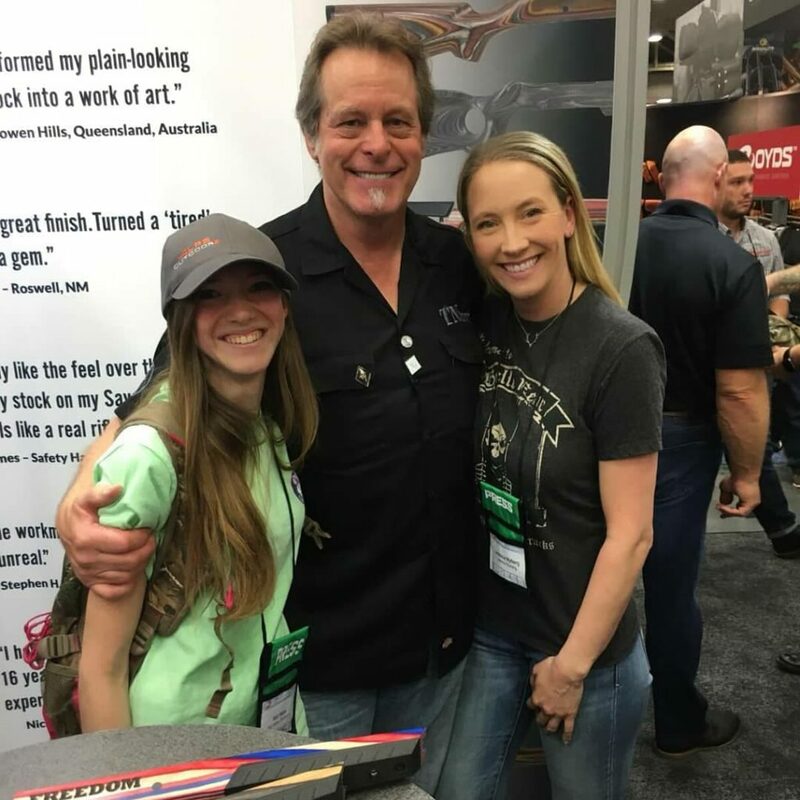 Just to name a few, the 2018 NRA Annual Meetings hosted President Donald Trump come to speak, Ted Nugent, Michael Waddell, Julie Golob, and so many others. The NRA is an imperative part of our fight to keep not only the 2nd Amendment, but the U.S Constitution as a whole alive. 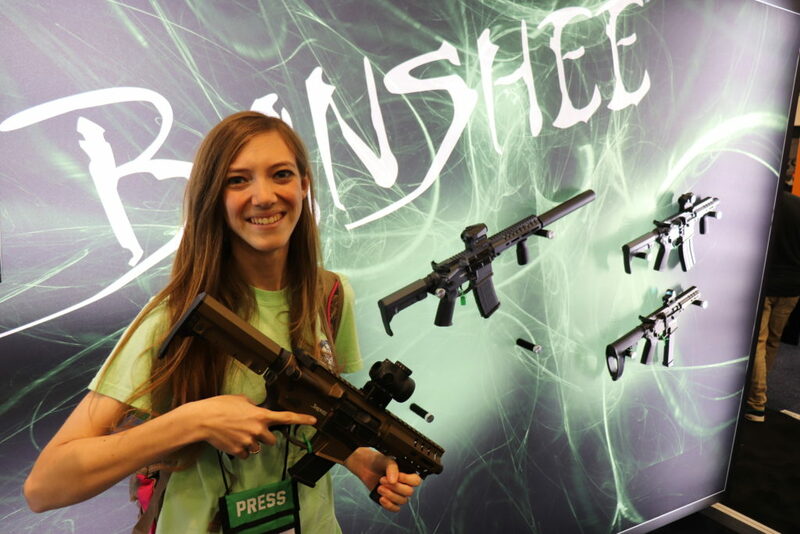 The NRA Annual Meetings always offers fun for the family, volumes of information about the 2nd Amendment and carrying a firearm, tons of awesome products, and some great people. Next year the NRA Annual Meeting will be held in Indianapolis, hopefully I’ll see you there!